If you're looking for one of the best tasting proteins available, then this is it. The Syntha-6 is best to be taken throughout the day because it's a blend of fast, medium and slow-absorbing proteins, along with some carbohydrate and fat. So it makes for a great tasting meal replacement. What is BSN Syntha-6 Protein Powder? Not all protein powder is created equal. You may be flooded with supplement options but choosing the right one is easy. No other protein powder comes close to BSN Syntha-6. BSN Syntha-6 uses a special blend of protein and fiber, which allows for an extended release of amino acids. This elite quality protein is exactly what you need to support your goals of muscle building, fat loss, and performance enhancement. What are the benefits of using BSN Syntha-6 Protein Powder? Studies show that your body needs a consistent flow of amino acids to see the best results in terms of muscle building and fat loss. Most low grade protein powders will supply you with a short burst of amino acids, leaving your muscles hungry. BSN Syntha-6 gives you six different protein types to satisfy your muscle tissue. 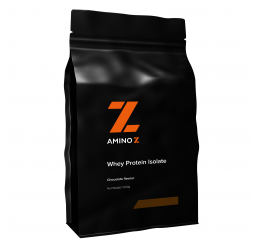 These proteins are designed to quickly enter the bloodstream, providing the muscle tissue with an immediate supply of amino acids. 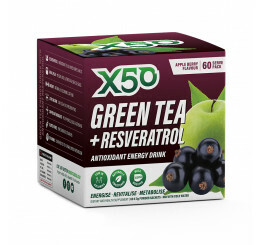 This aids in muscle recovery, which will promote gains in strength and size. These proteins have a slower rate of breaking down, allowing your body to benefit from a stream of amino acids hours after taking it. This will help with your energy levels and further the muscle recovery phase. These last two proteins are famously the slowest to digest, which means your muscles will still be enjoying the benefits of amino acid intake several hours after the initial serving. 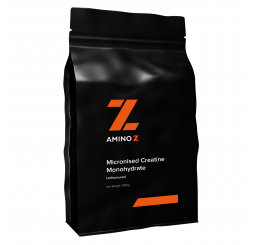 This consistent flow of amino acids will promote higher levels of muscle recovery, strength, and gains. Who should be using BSN Syntha-6Protein Powder? BSN Syntha-6 is the ideal protein supplement for the dedicated athlete and the average gym goer. If you want to improve the way you perform, build more lean muscle, and burn more fat then it’s time to add BSN Syntha-6 to your daily diet program. 2. Blomstrand E, Eliasson J, Karlsson HK, Köhnke R.Branched-chain amino acids activate key enzymes in protein synthesis after physical exercise. J Nutr. 2006 Jan;136(1 Suppl):269S-73S. 3. Norton, Layne, Layman, Donald. Leucine Regulates Translation Initiation of Protein Synthesis in Skeletal Muscle after Exercise. J. Nutr. February 2006 vol. 136 no. 2 533S-537S. 5. Mourier A, Bigard AX, de Kerviler E, Roger B, Legrand H, Guezennec CY.Combined effects of caloric restriction and branched-chain amino acid supplementation on body composition and exercise performance in elite wrestlers.Int J Sports Med. 1997 Jan;18(1):47-55. 6. De Lorenzo A, Petroni ML, Masala S, Melchiorri G, Pietrantuono M, Perriello G, Andreoli A.Effect of acute and chronic branched-chain amino acids on energy metabolism and muscle performance. Diabetes NutrMetab. 2003 Oct-Dec;16(5-6):291-7. Protein Matrix Comprised of (Whey Protein Concentrate, Whey Protein Isolate, Calcium Caseinate, Micellar Casein, Milk Protein Isolate, Egg Albumen and Glutamine Peptides), Sunflower Powder Consisting of (Sunflower Oil, Corn Syrup Solids, Sodium Caseinate, Mono- & Di-Glycerides, Dipotassium Phosphate, Tricalcium Phosphate, Soy Lecithin, and Tocopherols), Polydextrose, Natural & Artificial Flavors, MCT Powder Consisting of (Medium Chain Triglycerides, Non-Fat Dry Milk, Disodium Phosphate, and Silicon Dioxide), Cellulose Gum, Lecithin, FD&C Yellow #5, Sucralose, Salt, Acesulfame Potassium, Papain and Bromelain. 6% Magnesium Percent Daily Values are based on a 2,000 calorie diet. Your daily values may be higher or lower depending on your calorie needs. My favorite protein powder by fair. Great flavor and max mixability. Perfect after a workout or mixing with s smoothie. Great product, the chocolate tastes good. I have had this product before only a different flavour. I really enjoyed it last time so that is why i purchased it again. Trusted brand and one of the best tasting proteins on the market. There is a reason they have been around for ever..
Have been using horleys crossfire will be interesting to see what gains i get with this. Just wish it had the vitamins in it like crossfire. Vanilla will be very versatile for cooking to so thats a bonus. Product is the best strawberry flavoured powder if tried. Tastes great with water and with milk it may as well be dessert! Syntha-6 is one of my all time favourite protein powders. Has a variety of muscle enhancing products inside for maximum recovery. The flavours are also amazing. Tastes good and you pay for what you get which is quality portion powder. Having different sizes like bulk makes it more convenient to buy. I like the taste of it more than gold standard. But in terms of the amount of protein. Its less than gold standard. But look at the price. 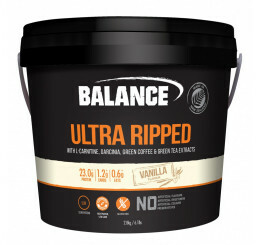 Its cheaper and only 2g less per scoop.